Dr. Jyoti Bhatia graduated from the University of Bombay with her Bachelor of Medicine and Bachelor of Surgery degrees (M.B.B.S.). 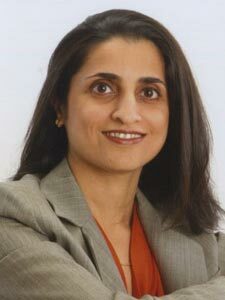 Dr. Bhatia completed Internships in Internal Medicine at University of Massachusetts – Memorial Health Care in Worcester, MA, followed by a Residency and Chief Medical Residency at Lenox Hill Hospital in New York City. She did a Gastroenterology Fellowship at Lenox Hill Hospital and completed advanced endoscopic training in Arhus, Denmark. Dr. Bhatia is Board Certified in Internal Medicine and Gastroenterology. To schedule a procedure with Dr. Bhatia, please call (609) 818-1900.